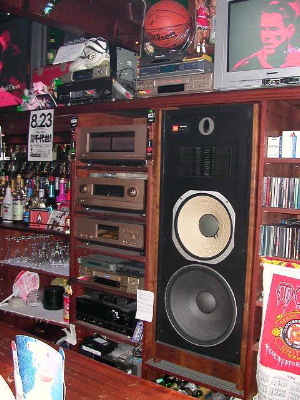 This is the stereo at the bar, where we went to watch the soccer game. Manchester beat Arsnel for some random trophy or something. I actually discovered what model speaker they are, they're old JBL speakers.